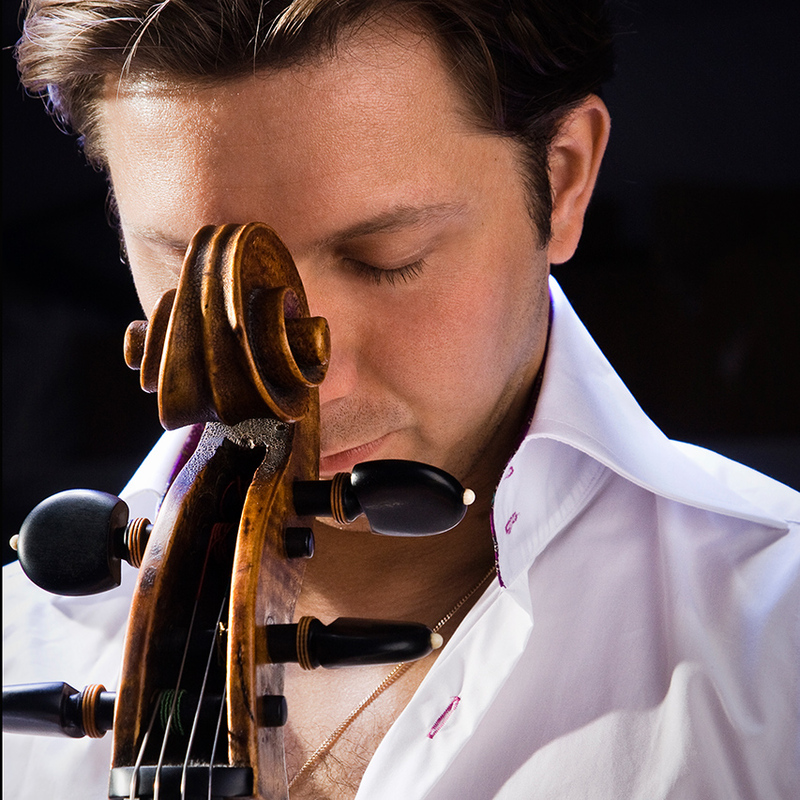 David Cohen has established a reputation as one of the most successful and charismatic young cellists of today. At the age of ten he made his solo debut with the Orchestre National de Belgique and since then has performed with many leading orchestras including the St Petersburg Philharmonic, BBC Symphony Orchestra, Philharmonia, Orchestre National de Lille, Orchestre Philharmonique de Liège, Zurich Chamber Orchestra, Orchestre de Chambre de Lausanne, Suisse Romande Orchestra, Polish Philharmonic, Symphonia of Warsaw, NHK Symphony Orchestra, Seoul Philharmonic, RTÉ National Symphony Orchestra (Ireland), Ankara Chamber Orchestra and Presidential Symphony Orchestra in Turkey. He has worked as soloist with some of the world’s most distinguished musicians and conductors including Lord Menuhin, Mstislav Rostropovich, Christoph von Dohnányi, Walter Weller, Sir Charles Mackerras and Vladimir Ashkenazy. His debut in Japan performing Tchaikovsky Rococo Variations with the NHK Symphony Orchestra under Vladimir Ashkenazy in 2008 led to an immediate re-invitation to play Dvořák Concerto. 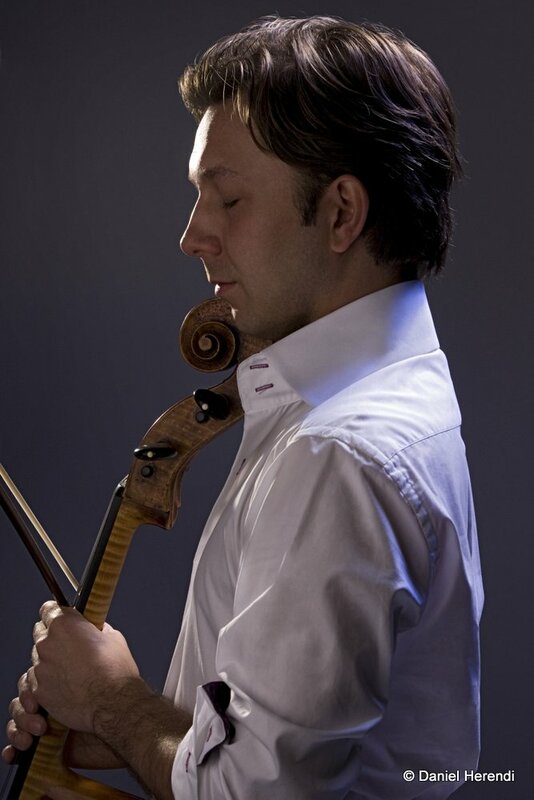 In 2015/16 he performed Dvořák Concerto with Orchestre Philharmonique de Liège and Haydn Concerto in C and Tchaikovsky Rococo Variations with the Casco Phil on tour in Belgium. The current season includes Saint-Saens Concerto No 1 with the Orchestre National de Belgique and also with the Montenegrin Symphony Orchestra, Dobrinka Tabakova’s Concerto for cello and strings on tour with the Scottish Ensemble, Elgar Concerto with the East Anglian Chamber Orchestra, and Dvořák Concerto with the Brussels Chamber Orchestra. 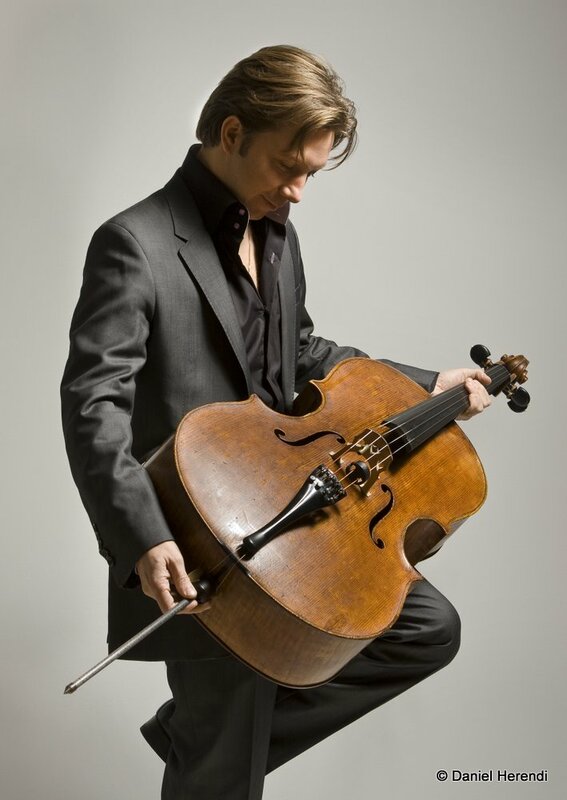 He has won more than 25 International prizes and awards, including first prize at the Audi International Competition in 1995 and the International Cello Competition in Douai. He has also received awards from the Ian Fleming Charitable Trust for “extremely talented musicians,” Fondation pour la Vocation (1999), Hattori Foundation for Young Musicians and the Fondation SPES (1999), the Martin Musical Scholarship Fund winner in both 2000 and 2001 and The Berlotti Buitoni Fellowship Award in 2004. After graduating from the Yehudi Menuhin School, he continued his studies at The Guildhall School of Music & Drama, where for six years he was a student of Oleg Kogan. He won the prestigious Gold Medal and in 2002 he became the Royal Philharmonic Society of Belgium “Rising Star”, performing recitals in leading concert halls including Carnegie Hall in New York, Wigmore Hall in London and the Concertgebouw in Amsterdam. 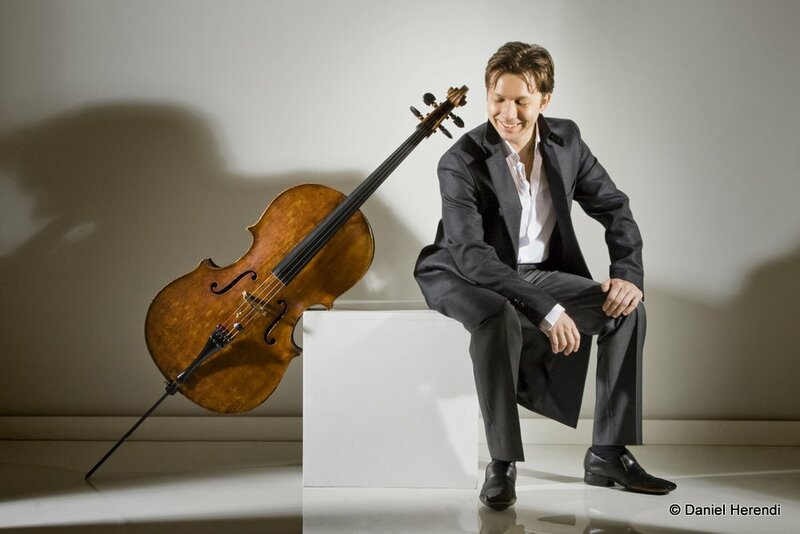 In March 2001 David Cohen was appointed Principal Cello of the Philharmonia Orchestra in London – the youngest Philharmonia Principal ever – a position which he held until summer 2009. He is a passionate chamber musician performing regularly in major festivals with the finest musicians in Europe. He is regularly invited to international cello and chamber music festivals such as Kronberg, Manchester, Cambridge, Beauvais, Bordeaux, Gstaad and West Cork. In October 2011 he performed Beethoven Sonatas with the late Charles Rosen at Cadogan Hall. In May 2013 he gave a solo recital at the Wigmore Hall, which included a new work written for him by Ian Wilson, later giving the Irish premiere in Galway. In June 2013 he was the featured soloist in a concert at the Spitalfields Festival, which included a new work for cello and ensemble, Katharsis, written especially for him by Cheryl Frances-Hoad, which he has also recorded. Earlier this year he curated a series of four concerts for Norfolk and Norwich Chamber Music performing the world premiere of a new work for solo cello written by Gordon Crosse. He has also commissioned Gursky Landscape for solo cello and string quartet from Gavin Higgins; the world premiere will be given at the Cheltenham Festival in 2018. David Cohen plays on a magnificent Domenico Montagnana cello c.1735 thanks to the kindness and tremendous generosity of Patricia Morton and help from the Razumovsky Trust. He has been the featured artist at the Montagnana Cello Festival in Italy performing concerti and making his conducting debut. Cohen plays as though his life depended on every note, and the whole evening from start to finish was an absolute masterpiece of eloquence. One had the impression he was giving every last drop of his soul to the audience. Not only is he a master of his instrument, but a generous story teller, all the while Cohen is bursting with brilliance and utterly bedazzling. A star in the making to watch.